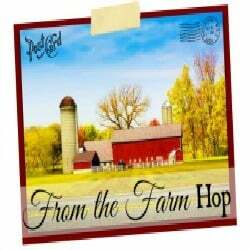 Happy Friday, and welcome to another From the Farm Blog Hop! We are so happy that you could join us this week, and we can’t wait to see what you’ll be sharing with us. First, let’s do the Quote of the Week. Approximately daily I post a quote on my Facebook page and the most popular will become the Quote of the Week. This one is one of my favorites… from a really awesome guy who is just full of amazing quotes! This picture was edited with PicMonkey! Congratulations! Grab your button and display it on your blog! Scroll Down for this week’s Party! Tagged From the Farm Blog Hop. blog hop, Joel Salatin, Quote of the Week. Bookmark the permalink.